Explicit Chris Gordon Is Back...Again!!! HE'S BACK YA'LL!!! This week we have our pal Chris Gordon back on the podcast and things get CRAZY!!! You do not want to miss this one!!! 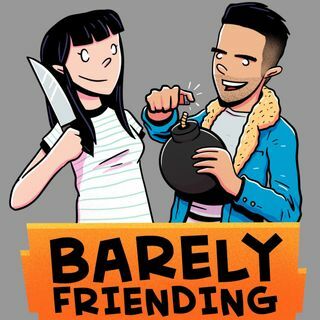 If you love the podcast and want to be a contributing patron, please go to: https://www.patreon.com/BarelyFriending.